Using a cell phone while driving is a dangerous, selfish, and illegal behavior that has become far too common. 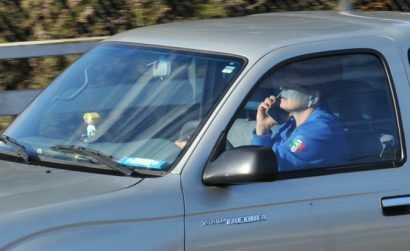 A company that uses sensors in smartphones to study driving behavior has revealed startling — yet unsurprising — facts about Americans’ selfish attitudes while behind the wheel of their cars: People use their phones during 88 out of 100 trips. When extrapolated out for the entire U.S. population, that number shoots up to about 600 million distracted trips per day. In what they bill as the “largest and most robust driver phone use study done to date on the planet,” Zendrive analyzed three million drivers and 570 million trips over a three-month period. While what they found is unnerving to say the least, Oregon drivers came in as the “least distracted” in the entire country. By calculating the average amount of time drivers use their phones everyday divided by the average time they drive everyday, Zendrive determined that Oregon drivers used their phones while driving 3.7 percent of the time. The most distracted state was Vermont, whose drivers used their phones 7.4 percent of the time.